Terms of Sale, P.A.R.O.S.H. Shop Online - P.A.R.O.S.H. Products offers and surfing on the site www.parosh.com (hereinafter also referred to as the “Site") as well as the use of all functionalities made available therein are governed by the following General Terms and Conditions (hereinafter referred to as “Terms and Conditions”) as well as by the provisions of Legislative Decree no. 206/2005 (hereinafter the “Consumer Code”) and of Legislative Decree no. 70/2003, as far as applicable. P.A.R.O.S.H. is a trademark of P.R. S.p.A. (hereinafter referred to as “P.A.R.O.S.H.”), a company incorporated under Italian law, registration with the Register of Enterprises of Milan and VAT/Fiscal Code no. 09895310150, registered with R.E.A. (Economic and Administrative Index) at no. 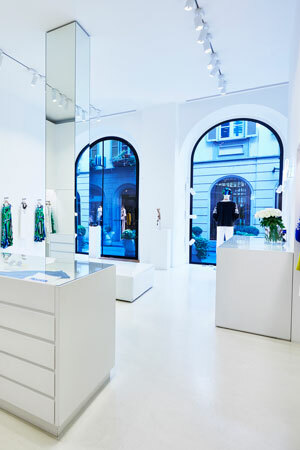 1326309, with registered office in Corso di Porta Nuova 46, Milan – Italy. The products offered on the Site are manufactured and/or marketed by P.A.R.O.S.H. ; for any request for information and/or communications and/or complains concerning sales, products, payments, shipping, please contact ‘Client Service’ as indicated in Article 15 below. The Terms and Conditions and the relevant procedures are available in Italian and in English. The Products available on the Site are exclusively offered for natural persons residing in the European Union, who purchase the products for personal purposes – thus unrelated to their commercial or professional activities – and who have come of age, with destination of goods within the European Union (the “Client”). Resale, rental or assignment of products purchased on the Site, for any commercial or professional purpose whatsoever, are expressly forbidden. Therefore, purchase contracts made by dealers or wholesalers or by persons purchasing the products for subsequent resale may be annulled pursuant to Article 1427 of the Italian civil code; in any event P.A.R.O.S.H. reserves the right to terminate the contract at any time, should it ascertain or have well-grounded reason to believe, also taking into account quantity and type of goods purchased, that the purchaser does not meet the requirements under Article 2.1. The Client, by sending the purchase order proposal (the purchase order proposal is hereinafter also referred to as the “Purchase Order”), acknowledges to have carefully examined these Terms and Conditions, which can be viewed and downloaded at the appropriate link in the Site. To such end, P.A.R.O.S.H. suggests the Client to download, save or print the Terms and Conditions in force at the time the Purchase Order is sent. Before sending the Purchase Order, P.A.R.O.S.H. will provide the Client with the information under Article 49 of the Consumer Code. Such information include the details and registered office of P.A.R.O.S.H. (in particular, its address, telephone number, fax number and e-mail address). The Client expressly authorises P.A.R.O.S.H. to send to its e-mail address, also through the specific links in the relevant pages of the Site, the Terms and Conditions, the particular conditions, if any, as well as all communications relating to the performance of this contract. It is not necessary to register on the Site to make a Purchase Order, but it will be necessary to accept, by clicking the specific box ‘I accept the terms and conditions of use’, these Terms and Conditions of Sale. It will not be possible to proceed with the Purchase Order for the Products if such Conditions are not accepted. The Client warrants that the personal information provided during the Purchase Order procedure are true. Offers of Products present on the Site are not binding for P.A.R.O.S.H. and do not constitute an offer to the public, but an invitation for the Client to submit to P.A.R.O.S.H. Purchase Orders for the products available thereon. Each product selected by the user of the Site may be viewed in a specific web page containing its description with the main characteristics, pictures and the indication of the unit price (including VAT in the amount determined by the Italian State at the time of the relevant offer), contribution for shipping costs, as provided for by Article 5.3 and any other additional charge, colours and different measures or sizes available. The Client, when choosing the items it is interested in, will add such products to its own shopping cart, up to a maximum of 5 (five) items for each single Purchase Order made. A brief summary description of the selected items, including measures or sizes, will be displayed in the shopping cart along with one or more digital pictures properly representing the products. It is understood that in case of discrepancy between the pictures and the summary description, the latter shall prevail and shall be regarded as descriptive of the purchased product. Purchase Orders shall be filled out using the e-form available at the specific section on the Site and shall be sent to P.A.R.O.S.H. via the Site and in compliance with the instructions indicated therein. The Client must check the correctness of the content of the ‘Cart’ before confirming the Purchase Order as well as the information provided pursuant to Article 49 of the Consumer Code as well as to Article 12 of Legislative Decree 70/2003, completing the on-line Purchase Order provided in the specific page of the Site and expressly confirming that it has read and accepted these Terms and Conditions. After checking the correctness of the data relating to the chosen product/s the Client must select the payment method pursuant to Article 5.6. The Purchase Order procedure is completed when the Client selects the option ‘Confirm Purchase Order’ on the order summary page displayed upon completion of the relevant procedure. At that time, the Purchase Order is directly submitted to P.A.R.O.S.H. and shall be regarded as a binding contractual proposal pursuant to Article 1326 of the Italian civil code. In case of Site connection problems during the order procedure, any product already selected by the Client shall remain stored in the ‘Cart’ and the Client, upon restoration of connection, may re-enter the Site and complete the order procedure. The Purchase Order will be stored in the data centre of P.A.R.O.S.H. and the Client may follow on-line the status of its order by logging into the reserved area of the Site ‘My Orders’. Moreover, the Client will receive an e-mail of acceptance of the Purchase Order to the address provided in the Purchase Order on-line form, containing the summary of the main contractual terms, of the information required by Article 49 of the Consumer Code and by Article 13 of Legislative Decree no. 79/2003 and the link to the complete document of the applicable Terms and Conditions. The Client undertakes, after completion of the purchase proposal as well as the receipt of the e-mail of acceptance of the Purchase Order, to print and keep the contract, including these Terms and Conditions, in accordance with Articles 49 and 51 of the Consumer Code. Although P.A.R.O.S.H. constantly adopts measures aimed at assuring that the pictures displayed in the Site represent as accurately as possible the reproduction of the real products, it is still possible that certain discrepancies arise due to technical specifications and quality of colours resolution of the terminal or the screen used by the Client. Because of the aforesaid technical specifications, P.R. undertakes no warranties or liabilities as to the absolute accuracy of the graphical reproductions of the products displayed on the Site. P.A.R.O.S.H. reserves the right to refuse Purchase Orders coming from a Client that it deems unsuitable to meet its obligation, as in the case, by way of example only and without limitation, of a previous breach of the contractual provisions for on-line purchase via the Site. As anticipated in paragraph 3.5 above, it is anyway understood that all submitted Purchase Orders are regarded as binding contractual proposals and that the conclusion of the contract is at P.A.R.O.S.H. own discretion, which is free to accept or refuse the Purchase Orders. The evaluation of any product present on the Site is the exclusive responsibility of the Client. The Client acknowledges that the stock of products offered by P.A.R.O.S.H. via the Site are limited. Products displayed on the Site are considered available for the submission of a Purchase Order by the Clients; occasionally inconveniences may occur in relation to the availability of certain products without this implying any responsibility of P.A.R.O.S.H. towards the Clients. In such events, the Clients will be given notice thereof by e-mail (or by telephone); as a result, the contract will be concluded only with reference to available products and the Client will be given the possibility to directly make a new order with a new access to the Site. P.A.R.O.S.H. reserves the right to change or update the products offered on the Site at any time, without notice. The prices of all products offered for sale on the Site are expressed in Euro (€) and include VAT at the rate in force in Italy (presently equal to 22%) (the “Price”). The Price does not include shipping costs; P.A.R.O.S.H. reserves the right to request the Client a shipping costs contribution, which may vary according to type of delivery, quantity of products to be delivered, their weight and destination. The contribution requested by P.A.R.O.S.H. for shipping costs is indicated, separately from the Price, before the submission of the order by the Clients and shall be paid by the Client along with the payment of the Price. The total amount, together with the shipping costs charged to the Client, if any, as specified below, will be highlighted in the ‘Cart’ page and in the Purchase Order summary page displayed upon completion of the relevant procedure as well as in the e-mail of acceptance of the Purchase Order. P.A.R.O.S.H. reserves the right to amend, at any time, the price of the products offered for sale on the Site, at its sole discretion and without notice; without therefore providing any warranty as to the fact that the products sale price remains available on the Site or unchanged for a certain period of time. The Client will be charged the prices published on the Site at the time of the submission of the Purchase Order by the Client, subject to the provisions of Article 4.14.1 in case the products are not available. P.A.R.O.S.H. accepts only payments made by credit card, PayPal, bank transfer. P.A.R.O.S.H. accepts the credit cards indicated in the relevant page of the Site. P.A.R.O.S.H. shall provide the Client with the information on payment methods and terms before the Purchase Order acceptance, in the ‘Cart’, in the page and in the Purchase Order confirmation email. In case of payment by bank transfer, the Client shall make the transfer using the bank details indicated on the Site, specifying in the reason for payment the order number indicated by P.A.R.O.S.H. at the time of transmission of the acceptance of the Purchase Order. Every costs determined by an extra european bank transfer will be charged on customer's responsability. The dispatch of the products shall take place exclusively after checking the Client’s credit card details. The Client’s credit card will be charged exclusively after the processing of the relevant order. Credit cards details sent when carrying out Purchase Orders are protected and transmitted directly to the banking company handling the payments, which are made directly on a secure server so as to ensure the absolute security of the transaction. In case of payment via PayPal, upon submission of orders by Clients, the web session will be transferred to PayPal website. On such website Clients may complete the payment of the Price and of the shipping costs contribution, if any, using their PayPal account and according to the terms and conditions of use of the PayPal service. Price and shipping cost are charged to the PayPal account along with the transmission of the Purchase Order acceptance by P.A.R.O.S.H.. The commercial invoice will be sent together with the goods present in the parcel/s. To re-ask for it, the relevant request shall have to be sent by e-mail to the address eshop@parosh.it. In the event one or more products are unavailable, the Client will be contacted in compliance with the provisions under Article 4.1. Deliveries will be made to all countries within the European Union. Products will be sent to the delivery postal address indicated by the Client in the Purchase Order on-line form. P.A.R.O.S.H. shall not process orders addressed to mail boxes and shall not accept orders that do not allow the identification of the subject who made the order, the addressee of the ordered products or the delivery address. P.A.R.O.S.H. shall provide the Client with the information on delivery methods and terms before the selection of the option “Confirmation of Purchase Order, with obligation to pay”. Delivery methods and timing are merely indicative and are indicated by P.A.R.O.S.H. to the Client before the Purchase Order acceptance, in the ‘Cart’, in the page and in the Purchase Order confirmation email. Shipping expenses may be checked by the Client, together with the aggregate price for the purchase of the products, before the acceptance of the Purchase Order, in the ‘Cart’, in the Purchase Order summary page and in the e-mail. The Seller undertakes to use all reasonable endeavours to observe delivery times indicated on the Site and, in any event, to carry out the delivery within the maximum term of 30 (thirty) days starting from the day following the day of transmission of the Purchase Order acceptance by P.A.R.O.S.H. If the payment method chosen by the Client is the bank transfer the period of time for delivery shall start from the receipt of the consideration by the Seller. Upon shipment of the parcel with the ordered items, the courier from time to time appointed by P.A.R.O.S.H., shall send the Client an e-mail to the address indicated in the Purchase Order on-line form which shall contain a tracking code and a link that can be used to follow the delivery. In case of problems or delays in the delivery exceeding 10 (ten) business days from the date indicated in the Purchase Order acceptance e-mail under Article 3.8, the Client shall report the event to the e-mail eshop@parosh.it by using the ‘Contacts’ section in the Site. The Client undertakes to check as soon as possible that the delivery includes all and only the purchased products and to promptly inform P.A.R.O.S.H. of any possible defect in the products received or of their non conformity with the order made, in compliance with the procedure under point 9 below; otherwise the products will be considered as accepted. If upon delivery of the products the packaging is clearly damaged, the Client should refuse the delivery by the courier or sign for ‘acceptance of damaged package subject to verification’. The Client is entitled, pursuant to and by effect of Articles 52 and the following of the Consumer Code, to withdraw from the sale contract, without the need to specify a reason, within 14 (fourteen) days from the date of delivery of the products, with no penalty. To avail of the rights provided for by Article 8.18.1., the Client shall have to fill out the on-line ‘Withdrawal Form’ specifying its intention to withdraw from the contract, the indication of the products and the quantity of items for which the Client wishes to exercise the right of withdrawal. The on-line ‘Withdrawal Form’ must be filled out according to the ‘Instructions’ contained in section ‘Withdrawal’ of the Site. Following the on-line filling out of the ‘Withdrawal Form’, P.A.R.O.S.H. shall provide the Client with a return code to be indicated for the return shipping. In case of the Clients’ exercise of the withdrawal rights under this Article 8: (i) the Clients undertakes in any event to return the products by courier within 14 (fourteen) days from the exercise of the right of withdrawal to the address indicated in Article 15 below; (ii) shipping costs relating to the return of the products shall be exclusively borne by the Client; (iii) P.A.R.O.S.H. undertakes to repay the price in the shortest time possible, and in any event within 14 (fourteen) days from receipt of the returned products, provided that the same have been returned in their original conditions, intact (pursuant to Article 56 of the Consumer Code) and not used, together with their original packaging/package and accessories, if any, quality labels, user’s manuals. Pursuant to Article 56 of the Consumer Code, P.A.R.O.S.H. undertakes to repay the price using the same payment method used by the Client. P.A.R.O.S.H. shall make no price repayment should the Clients exercise their right of withdrawal not in compliance with the methods and terms provided for in the Withdrawal procedure and in this Article. P.A.R.O.S.H. shall check that the returned products are actually in their original conditions; should the products returned by the Client be damaged, incomplete, deteriorated and/or dirty, they shall not be reimbursed. Without prejudice to the right of the same to ask for compensation for any damage or for non-compliance with the products delivered to the Client. Should the return of the products due to withdrawal or return be entrusted to a different courier than the one indicated by P.A.R.O.S.H., the latter shall not be responsible for loss of products, shipments to wrong addresses or delays in the delivery of the products, it being understood that the Client undertakes any risks for such shipment. For the sake of completeness, the Client may not exercise the right of withdrawal at issue if any of the hypothesis of exclusion provided for by Article 59 of the Consumer Code occurs. Finally, in the event of non-fulfilment of the information obligations under Article 49, first paragraph, letter h), and 53 of the Consumer Code, the term for the exercise of the right of withdrawal is 12 (twelve) months from the end of the initial withdrawal period, as determined pursuant to Article 52, second paragraph of the Consumer Code. At the time of delivery, the Client must control the products to make sure that they correspond to the items ordered. Any possible anomaly noticed upon delivery (by way of example only and without limitation, alteration or damage of the packaging, damaged products, missing items, etc.) must be reported in the delivery document in the form of express reservation signed by the Client. Should the products not correspond to those ordered, the Client must promptly inform P.A.R.O.S.H. through the Client Service and shall require the performance of the order, subject to the return of the items received, or, in the event of unexpected unavailability of the products ordered, to order different items of the same kind or, alternatively, to be refund for the possible price difference or to cancel the entire order, according to the provisions of Article 4.1. Furthermore, P.A.R.O.S.H. shall be liable in case of defect of conformity (pursuant to and by effect of Articles 128 and the following of the Consumer Code), showing within 24 (twenty-four) months from the delivery of the products, provided that such defect is reported, pursuant to Article 15 below, by the Client within 2 (two) months following the discovery of such defects, in compliance with Article 132 of the Consumer Code. In case of non conformity of the products, the Client will be entitled to obtain their restoration at no cost, by way of repair or replacement. Costs incurred by the Client for the replacement of the products proven to be defective or non-conforming shall be borne by P.A.R.O.S.H.. Except in case of wilful misconduct or gross negligence, P.A.R.O.S.H. shall in no way be responsible towards the Client as a result of (i) damages or losses caused by the products or their use by the Client (without prejudice in any event to the application of the mandatory rules on producer’s liability); (ii) damages that are not caused by a non-fulfilment of P.A.R.O.S.H. ; (iii) loss of business or loss of trade opportunities. The P.A.R.O.S.H. 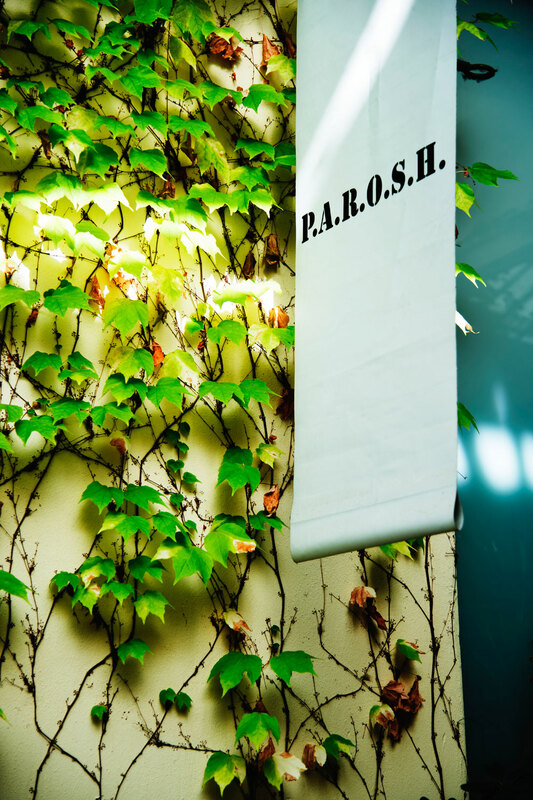 trademark, as well as the aggregate of figurative and non-figurative marks, illustrations, images and logos present on P.A.R.O.S.H products, on the relevant accessories and packaging, whether registered or not, are and remain the exclusive property of P.A.R.O.S.H.. The total or partial reproduction, amendment, registration or use of the aforesaid marks (or of signs that may be confused with them), illustrations, images and logos, for any reason and on any device, without P.R S.p.A. prior express consent are strictly forbidden. The Site and its contents (including the e-shop section) may be used for personal and non commercial purposes only. The combination of the aforesaid trademarks and other marks, symbols, logos is likewise forbidden. Moreover, the reproduction, in whole or in part, the amendment, transfer by electronic or conventional means or the use of drawings, models and patents that are the exclusive property of P.R. S.p.A protected by the applicable regulations in force are strictly forbidden. The Site pages may include also trademarks, corporate names, images, logos belonging to third parties collaborating with P.A.R.O.S.H. Such trademarks are also protected by the applicable regulations in force. Clients who register are responsible for the keeping and appropriate use of all e-mails, user names, nicknames and passwords used to connect to the Site and must adopt all necessary measures to assure that the same are used properly and that user names and passwords are kept secret and not disclosed to any unauthorised person. Clients who register are responsible for any activity performed through their account and shall be liable for damages consequent to the misuse of their access data by third parties. Registered Clients must immediately inform P.A.R.O.S.H. if there are reasons to believe that a user name (or an e-mail) or a password are, or are likely to be, known by someone not authorised to use them or if it is likely that they are used in an unauthorised way. Registered Clients who forget or lose their user name must or password might recover it through the apposite link. P.A.R.O.S.H. reserves the right to suspend user name (or e-mail), nickname and password to access the Site, should it deem that a problem of security or of unauthorised use of the same exists – or is likely to exist. Registered Clients are responsible for the truthfulness of information and personal data provided upon registration. Registered Clients shall immediately inform P.A.R.O.S.H. of any changes occurred in the information and personal data provided upon registration or take care directly, if possible, of their updating, so that such information and personal data are constantly up-to-date, accurate, complete and true. Should information or personal data have been provided, or should P.A.R.O.S.H. have good reason to suspect that information or personal data have been provided, which are false, inaccurate or incomplete, P.A.R.O.S.H. shall be entitled to prevent the registered Client from using the Site. P.A.R.O.S.H. reserves the right to make, at any time, at its sole discretion, all amendments, supplements and/or updatings that it deems necessary and/or simply appropriate to the Site, the contents, the programs and/or to the other materials contained therein and/or available via the Site itself (including these Terms and Conditions). For the sake of clarity, any amendment and/or updating made as indicated above shall not affect contracts already entered into with Clients before making such amendment or updating. Should one of the provisions of this contract be declared, in whole or in part, null, invalid or ineffective by any competent court or controlling authority, said defect will not affect the remaining provisions. These Terms and Conditions and the sales carried out via the Site are governed by the Italian law and shall be interpreted on the basis of the same, with exclusion of the Vienna Convention of 1980 on the international sale of goods. 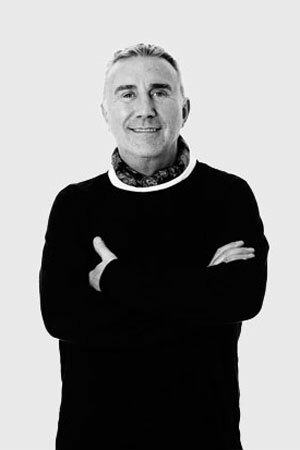 Any dispute that may arise in connection with the Terms and Conditions and/or each sale and purchase shall be subject to the exclusive jurisdiction of the Court of Milan; subject to the mandatory jurisdiction of the court of the place of residence or address for service of the Client acting as Client, pursuant to the Consumer Code.